DNG is the annual global tile mosaic design competition created by Artaic and sponsored by Bostik. It invites architects, designers and mosaic design enthusiasts to submit designs for a mosaic Sel e Studio mural to be permanently installed at the Height of Decadence, Hyde Bellagio. Those who enter will qualify to win various prizes, including the grand prize, a trip for two to Paris. All designs submitted must be created using Artaic’s mosaic design software, and Artaic’s 3/8-inch vitreous glass tile materials, consisting of over 140 colors. 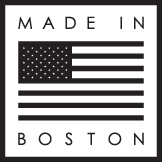 The winning mosaic will be fabricated in Boston USA using Artaic’s robotic manufacturing technology and Bostik’s Dimension RapidCure Glass-Filled Grout, made of 60 percent recycled glass that allows light to pass through the grout joint and further illuminate adjacent tiles. A gallery consisting of ten DNG finalists will be on display at AIA Convention 2017 in Orlando, April 27-29. This same collection will also be showcased at HD Expo in Las Vegas, May 3-5. Ultimately, the grand prize winner will be unveiled at a VIP event sponsored by Bostik at Hyde Bellagio on May 4th.